About two decades ago when the cell phone boom was just initiated, the farming sector was dry and arid just like it was on a hot summer day when a farmer experienced his worst season. With only limited knowledge of what he could grow and how a farmer’s plight was indescribable. Though a gap between the urbanites and the humble farmers of rural India exists, there has been an awakening among millennial who are now using their technical skills to develop technology that is easy to use, approachable, productive and educates farmers. 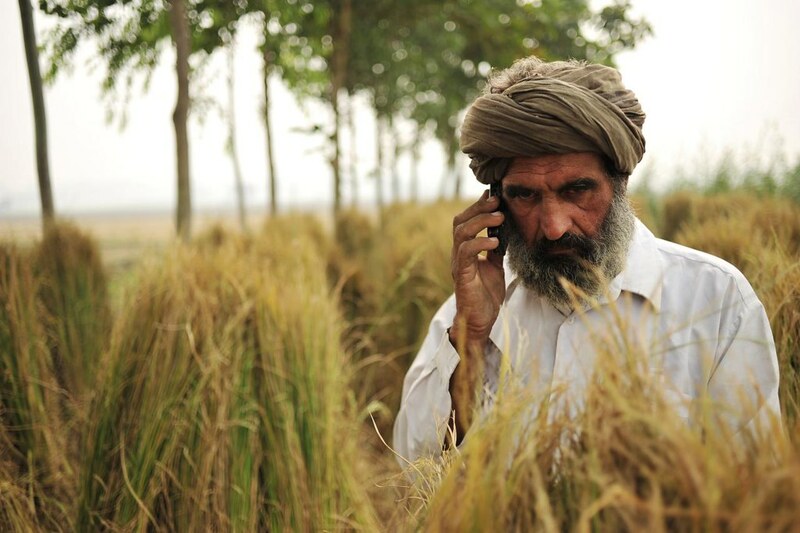 Even before smartphones became an indispensable necessity, a fixed- phone line and access to a television was the Indian farmer’s first step to digitization. Whether it was the weekly programs were aired on Doordarshan or the ad campaigns were advertised on TV or radio, a medium to reach a farmer was established. 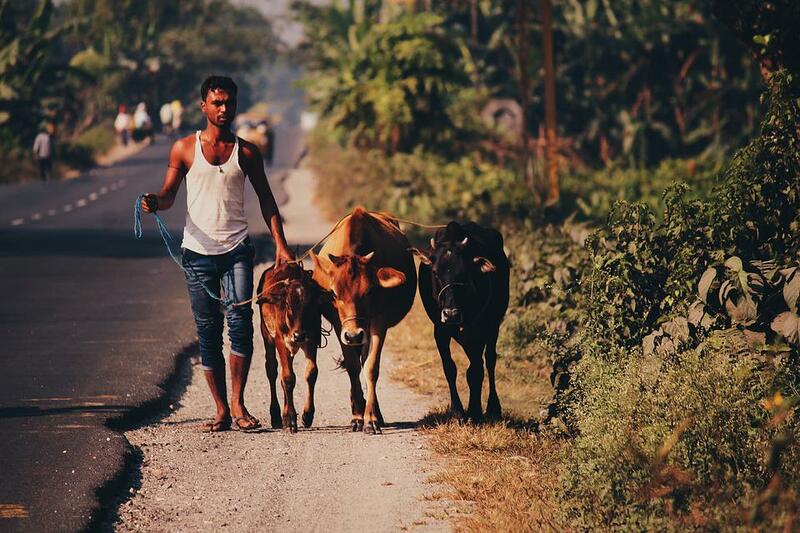 Amidst the IT boom that gripped the urban areas, Cisco and British Telecom made a big entrance to the farming sector by introducing Lifelines in India. This perhaps was a milestone for an IT company to foray into the farming sector by providing guidance and advice to illiterate farmers who are more adjustable to a voice-based program. Some solid achievements were seen, with participating farmers making a profit from 25 to 150 percent by meticulously following the advice and instructions on tending his crop or cattle. Though the pace was slower when compared to urban areas, the advent of cellphones meant great improvement in villages connecting them to the developing, progressive world. The country at first struggled to provide service in all corners of rural areas but with a majority of the villages in India receiving mobile coverage through at least one network, this was a green signal for rural India to progress the digital way. But with the exodus of young millennial from villages to cities in search of a job of for higher education, farmers who were raised to plough land faced some turbulence while trying to come to pace with the rest of the world. While some third generation farmers are degree holders, some have moved on to become urbanites with arid lands in their name, usually used as collateral. When I spoke to Shiva, a third generation farmer who holds a BA in history, he explained to me why it was difficult to convince his grandfather the facts he had researched on the Internet. Shiva uses the web for more than just research. He is well informed about commodity prices, news and the weather, actively participates in forums and discussions and interacts with experts to ensure his knowledge about farming is up to date. His phone is loaded with apps that keep him updated with government initiatives and subsidies and other apps that let him engage with the farming community across the country. For this to happen, the IT industry in India did take a plunge in diverting from what is in demand to develop programs that are the need of the hour. While some have been funded by the government, several techies have also developed free apps that work efficiently on a lower-end mobile phone that helps a farmer educate himself and stay up to date with market information. Kisan Suvidha, mKisan application, Farm-o-pedia, Agri market, RainbowAgri, MandiTrades are some to name. Keeping its target audience in mind, the apps are designed with a user-friendly interface consisting of important parameters to provide info on. The user can get live and updated information on the weather, dealers details to sell to, the market price of a commodity in nearest area, information to protect plants from pest, weed and diseases, and expert advice from farm experts. Besides, farmers can directly get in touch with the call centre in most apps, where technical graduates answer their queries. Several universities are also at work, coming up with nascent technologies to increase efficiency and make a farmer’s life easier. An app that lets farmers control their pump sets through Bluetooth or assess the outcome of his crop is already in beta and hopes to make it to every smartphone in the coming years. Shiva, who is well aware of the condition in and around his village in rural Mysuru, Karnataka says that farmers face issues when it comes to taking care of their cattle, especially cows where the yield can vary every season. Some farmers who are now aware willing to explore their options like to get hands on information on which crop is most suitable to grow in their land and also gather information on how the outcome would be before they invest. While the information available the World Wide Web is abundant, tailor made for farmers who can comprehend voice-based programs or simple facts to see the best results, the government has taken several initiatives to help kick-off digitization in rural India. Whether it is through kiosks or weekend classes and workshops, educating farmers on the importance of technology and basic navigation through devices is crucial. In another twist, engineers who heard their calling in farming have returned to plough their ancestral land. But, after realizing the plight of the farmers today, especially in the current economy and climate, they have turned their passions into businesses while helping farmers make a bigger profit than they would have by themselves. One such visionary is Madhuchandan, an engineer from California who gave up his high-profile job to return to his native town Mandya. He now runs Mandya Organic Farmers Cooperative Society and also ushered a silent agrarian revolution. Not only does Madhu promote organic farming and ensure perfect results, he has also helped farmers double their profits and restore traditional ways of farming in his village. Ajay Naik, a software engineer who gave up his job, has been exploring options in hydroponics. He believes that the right use of technology can improve a field’s produce but the problem is that Indian farmers are already struggling with finances and are reluctant to take risks. They fear that if their investment in technology does not work out, it may lead to huge losses,” he says. Ajay wants to change the equation by taking technology to as many farmers as he can, he said in an interview with The Better India. Hydroponics, he believes, is the best choice for commercial as well as home-based farming. Among many advantages, hydroponics allows you to produce more high-quality vegetables and fruits, save on water and nutrient consumption, and grow fresh food everywhere – including sterile and unproductive lands, or in big cities and capitals. It helps cutting down on expensive intermediaries and shipping costs. Though the approaches to methods of farming are unique, novel and different, these engineers have studied, researched and explored their options to make sure a farmer who is used to traditional methods of modern methods using machinery and chemicals will be able to digest and adapt to these productive ways. There are several ways technology can play a role in uplifting the farming sector or eradicating plaguing issues. The best way to tackle these issues through technology is to keep in mind, from inception to implementation, a farmer’s need and the rate at which he will be able to adapt. Having said that, waiting for a new generation to adapt might not be convenient considering the potential of growth of technology in the farming sector. Author : The author of the post is Dibya Prakash. Dibya Prakash is a technology consultant, strategist and mentor. He consults and mentors different enterprise teams on high-end & emerging technologies. More about him on LinkedIn.